YouTube vlogging has become a fixture of poker entertainment in 2017, with several big name personalities sharing their experiences with fans around the globe. Here are 5 Poker Vlogs that are informative, educational and fun to watch. 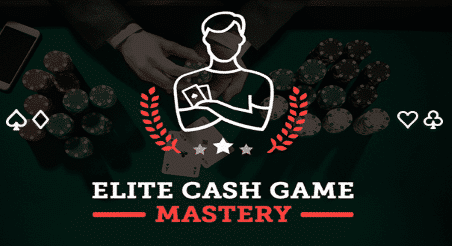 Live cash game pro Andrew Neeme released the pilot episode of his poker vlog in October 2016, and immediately became a hit with viewers. The former music industry roadie who spent much of his young adulthood in London and Los Angeles first caught the poker bug in 2004 — and is widely recognized as one of the leading forces of poker entertainment in 2017. Andrew’s YouTube Poker content consists of well-prepared, quality material featuring some of the most iconic poker rooms in Las Vegas along with recent uploads from Arizona and California. To date, he is the only poker personality to have maintained a tracked, 99% YouTube Approval Rating on any publication (THE ‘F’ WORD — March 14, 2017) and currently rubs shoulders with some of the highest profile poker players in the world. The Las Vegas resident credits YouTube superstar Casey Neistat as being a major influence on his own work. “Casey brought the production value of a professional short film maker to the medium of YouTube vlogging, and doubled down on positivity, fun, extremely hard work, and helpful life lessons,” Andrew told CardPlayer Lifestyle owner Robbie Strazynski in an early 2017 interview. Neeme has over 67,000 YouTube subscribers who routinely tune-in to watch his latest uploads — which include everything from friendly low-stakes cash games to the occasional tournament, and even Sin City drone flyovers. Upswing Poker’s resident Pot Limit Omaha strategy expert Fernando Habegger has steadily risen through the YouTube Poker ranks since debuting on Joey Ingram’s Poker Life Podcast in December 2016 — and has earned a highly respectable 15,000 subscribers in less than a year. Habegger’s vlog content focuses more on for-profit poker playing than most of his YouTube Poker colleagues, while boasting a good deal of live streaming mixed in with viewer questions. If you’re looking for direct advice and consultation on how to play a particular hand, the GTO poker setup, or which sites offer the juiciest games, @JNandezPoker is a great channel to subscribe to. Fernando’s PLO Bankroll Challenge ($1,000 to $10,000) continues to progress while the Team GrindNation member supplements his YouTube content with in-depth interviews featuring high stakes players such as Fedor Holz along with a number of industry representatives who enjoy the Switzerland native’s easy-going conversational style. If the two previously mentioned YouTube vloggers are laid back in their on-air demeanor, the world’s all-time live poker tournament money leader Daniel Negreanu is anything but. A two-decade veteran of the game, “Kid Poker” has achieved a massive amount of success in poker despite being one of its most controversial figures thanks to his extremely open communication on nearly every hot-button poker topic in existence — with the exception of an ongoing feud with Two Plus Two Publishing chief Mason Malmuth that began in the late 1990s. And while the Team PokerStars Headline Pro’s rants about integrity may come off as anything from absolutely necessary to outright offensive to the average social media follower, his 2017 WSOP poker vlog package impressed many of the $34 million live poker tournament cash prize winner’s critics. The 43-year old Canadian has become an integral part of the community and is a shoe-in to repeat as a Top 5 Poker Personality once this year’s Upswing Poker editorial update is released. Negreanu has proven himself more than capable of churning out quality poker vlog content and remaining relevant among a highly competitive field of poker entertainers — even if his views contradict those of longtime pros and fans who have shunned The Stars Group‘s corporate initiatives. At 132,000 subscribers, Daniel currently owns the second largest player-based YouTube Poker channel behind Upswing Poker pro and 2017 WSOP High Roller for One Drop winner Doug Polk. While we’re discussing controversy, Tim Watts (aka “TheTrooper97”) has one of the most entertaining poker vlogs on the Internet. The animated personality came under fire this summer when he revealed on camera that he frequently insists on registering for live Sit & Go tournaments with one of his buddies (whom he shares a bankroll with), sparking concerns of potential collusion and heated debate on the 2+2 forums. That aside, Watts has been a fan favorite among TwoPlusTwo forum-goers on the popular Las Vegas Lifestyle board since November 2014 and is a pioneer in the poker vlogging space. Tim’s video segments revolve around grinding live poker games in Las Vegas, but also include a healthy dose of off topic commentary on the everyday life of a Las Vegas resident. Viewers will find a huge variety of material to enjoy upon checking out the TheTrooper97 YouTube Poker channel — which is quickly approaching 30,000 subscribers and recently surpassed 10 million total views. Team PokerStars Online pro Jaime Staples arrived on the live streaming scene as a relatively unknown entity in 2014, and quickly moved up the ladder to become hands-down the second largest Twitch Poker talent behind Jason Somerville. Three years later, the mid-20s star has experienced perhaps the widest range of “popularity variance” among his high profile poker playing colleagues — with peaks and valleys that have forced the native Canadian to embrace criticism and focus intensely on reaching specific goals through time management skills and healthier lifestyle habits. Staples found new motivation five months ago when he was given 50-to-1 odds on a $3,000 USD longshot wager with businessman Bill Perkins — and has lost over 50 pounds since accepting the bet on March 26th. Jaime’s vlog updates on his secondary YouTube channel have become a source of inspiration for YouTube viewers — many of whom have come to appreciate the MTT grinder’s discipline as he consciously avoids the negative lifestyle trappings that are commonplace for touring world travelers. Jaime’s poker vlog currently has over 13,000 subscribers to go along with 44,000 subs on his primary “PokerStaples” YouTube channel. 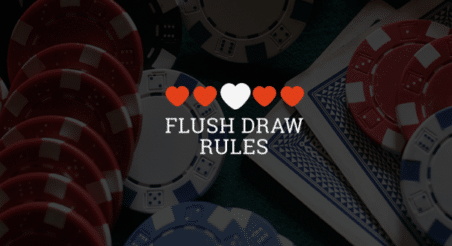 Of course, these aren’t the only YouTube vlogs where fans can find entertaining content about the world of poker while following along with the activities of their favorite celebrities. Here are a few more poker vlogs we highly recommend for our readers here at Upswing Poker.